(Reuters) - Dariga Nazarbayeva's ex-husband was found hanged in an Austrian prison cell four years ago after a court in her native Kazakhstan convicted him of plotting to overthrow her father, the president. After the vast oil and gas-rich Central Asian country's upper house of parliament unanimously elected her its speaker on Wednesday, Dariga is herself now just one job away from the presidency, a role her 78-year-old father, Nursultan, unexpectedly relinquished the previous day. Her appointment marks a spectacular political comeback for someone who once led her own political party only to see it subsumed into her father's ruling party and then be squeezed out of its leadership ranks in 2007 as a corruption scandal involving her ex-husband, Rakhat Aliyev, a former high-ranking government official, snowballed. The 55-year-old spent the next five years in the political wilderness, before making a low-key return to politics in 2012 when she was elected to the lower house of Kazakhstan's parliament representing her father's Nur Otan political party. She has since served as the country's deputy prime minister and as a senator, a member of the upper house of parliament. Giving a brief acceptance speech on Wednesday after being named Senate speaker, Nazarbayeva said her country was at a turning point in its history and referred to her father using his honorary title as "leader of the nation". Many Kazakhs also fondly call him "Papa". 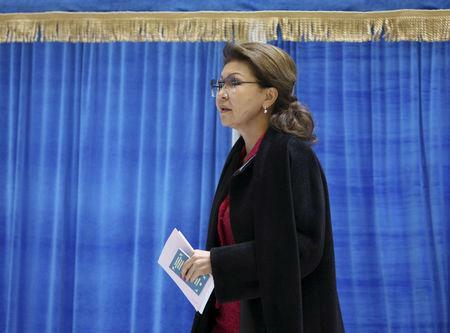 "Our Yelbasy (national leader) has outlined large-scale tasks to modernise society," Nazarbayeva said. Dariga's promotion, ex-speaker Tokayev's first major move after being inaugurated, raises her profile as a potential successor ahead of a presidential election next year. In 2008, in an online question and answer session, she said "no, no, no, no", when asked if she planned to one day become president, but political analysts have long viewed her as a potential successor to her father who ruled for three decades. Dariga's exact net worth is unknown though Forbes Kazakhstan estimated she was worth $595 million in 2013, crediting her with a raft of corporate assets. Dariga studied at Moscow State University in the 1990s and went on to help found and then head Kazakhstan's main TV network Khabar. Inside Kazakhstan, she is well known for her love of opera singing, and has often performed on television and even given a concert at Moscow's famous Bolshoi Theatre. Reported to be fluent in English, Italian, German, and Russian, she has advised Kazakhs to learn Chinese, saying that closer ties with China, a major investor in Kazakhstan, are her country's future. In 2016 her father spoke of the possibility of Kazakhstan getting a female president, saying with a broad smile that such a scenario was "entirely possible". 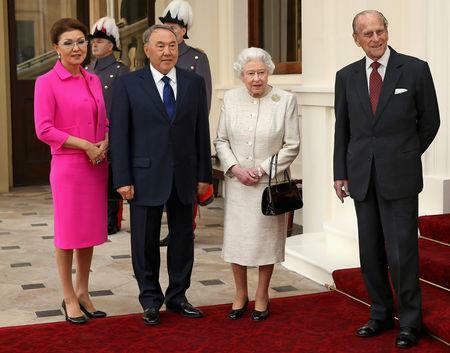 "There are such women who have been prepared (for the job)," Nazarbayev told an economic forum in Russia. "Taking into account that I have three daughters, I have a special attitude towards women."